Fresh from the racks of Chanel’s Spring Summer 2017 Collection, these Boy Chanel Triangle Wallets are some fashionable pieces you’d want to be seen carrying around. Offering a fresh take when it comes to playing with colors, it’s a new design that’s only available this season, so grab then when you still can. Stylish and fashion-forward, these Boy Chanel wallets sport the bi-color design which proves to be trendy nowadays. The bi-color effect is crafted in a triangular fashion either on the flap part or in the middle part. Aside from this, it also features stitches around the edges for an added flair. Now let’s move on to the wallet details. It features genuine lambskin that is stylishly complemented by its black on black metal hardware. The black on black metal boy clasp can be found in the center, which was once very rare, is now widely available exclusively in this collection. For those who prefer a multi-functional wallet, worry not for there is a Boy Chanel Triangle Bi-Color Wallet on Chain Bag which proves to be practical as you can carry it by the hand or over the shoulder thanks to its chained shoulder strap. For wallet lovers who are wishing for a bigger pouch, there is also a bi-color triangle Boy Chanel Pouch which can hold your essentials such as your mirror, lipstick, and even your pressed powder. Aesthetic wise, these wallets are simply elegant with the interplay of either black and white, black and navy blue, or black and beige. Now, have you decided which one you’ll be reaching for upon your next visit in the Chanel boutique store? 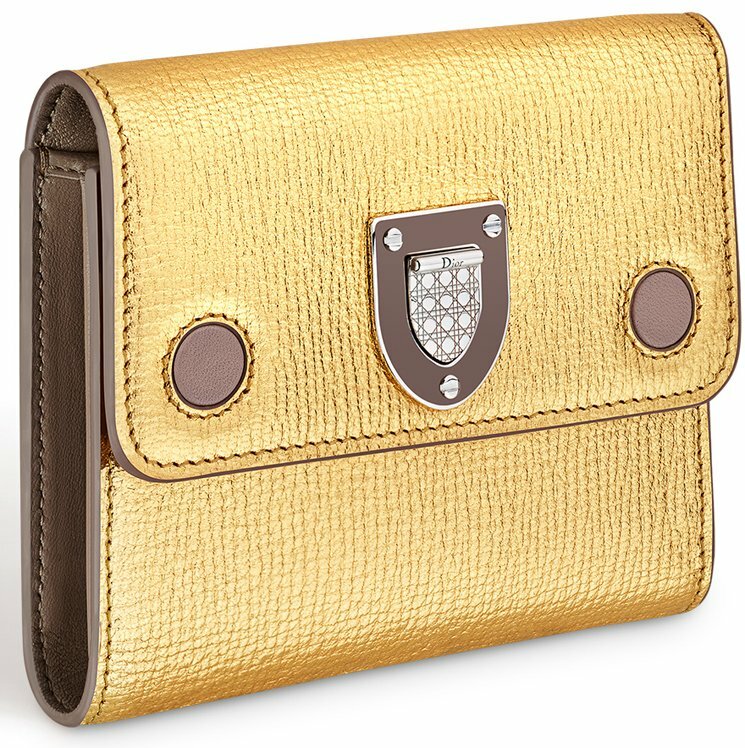 Bottega Veneta wallets are sensible and easy on the eyes. Bottega Veneta is a beautiful Italian fashion house like no other. Its woven calfskin leather, referred as intrecciato, is the house’s identity in the world of leather goods. Big intrecciato bags are always a treat, and the texture is disarmingly good. But, sometimes you don’t want to lug around such big pieces all the time. That’s why small leather goods are always a treat to have. SLGs, like Bottega Veneta’s Continental Wallets, are so easy to lug around on a daily basis because they sit nicely inside whatever bag you’ve decided to carry for any particular day. And if you are a fan of the intricate texture BV is known for in their leather goods, you won’t miss it so much in a wallet form, because this way you can use it everyday. 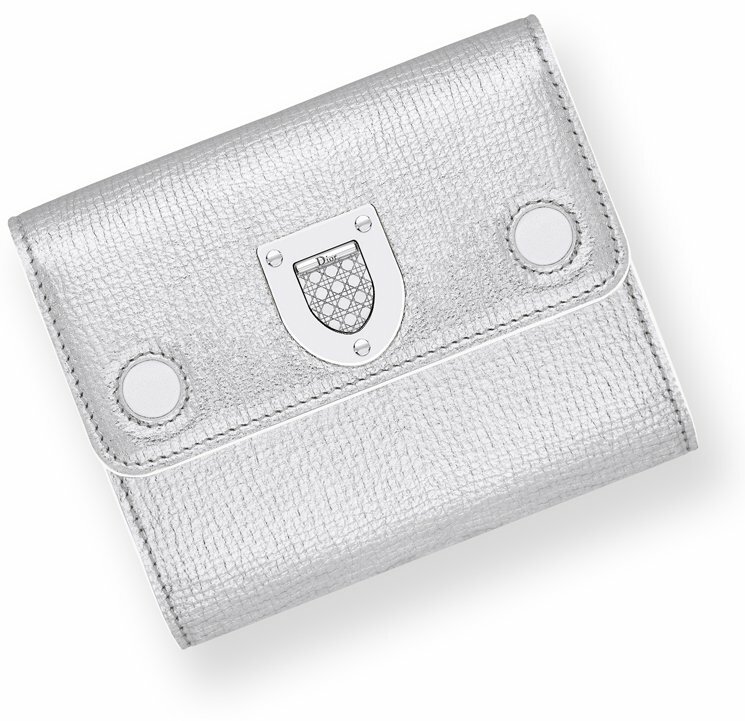 The continental wallet has a generous number of slots to hold your cards including two slip pockets. It also has two main bill pockets, one thicker and the other thinner, so you can insert any odds and ends that you may be carrying around with you. It’s a great wallet to hold. I especially like the fact that it doesn’t have a zipper inside – something I’ve quite learned I particularly wish weren’t there sometimes – making it a much simpler wallet to carry. (Though, there are variations of this wallet that does have zippers, if you like them). 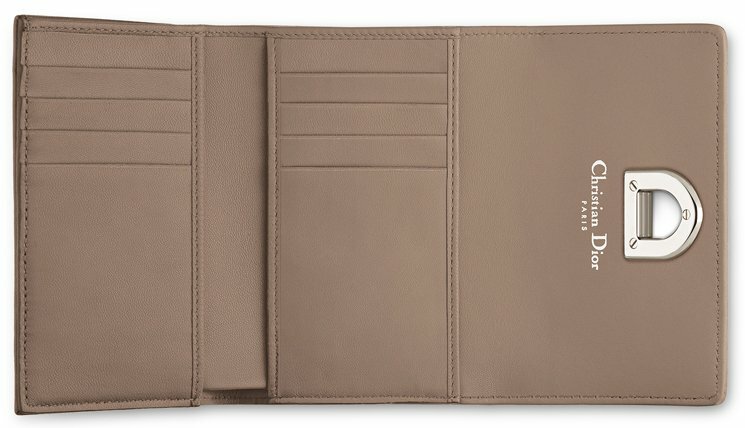 So if you’re looking for a luxury wallet, don’t forget to include Bottega Veneta in your choices. Such a beautiful and the Diorever is such a beautiful bag. 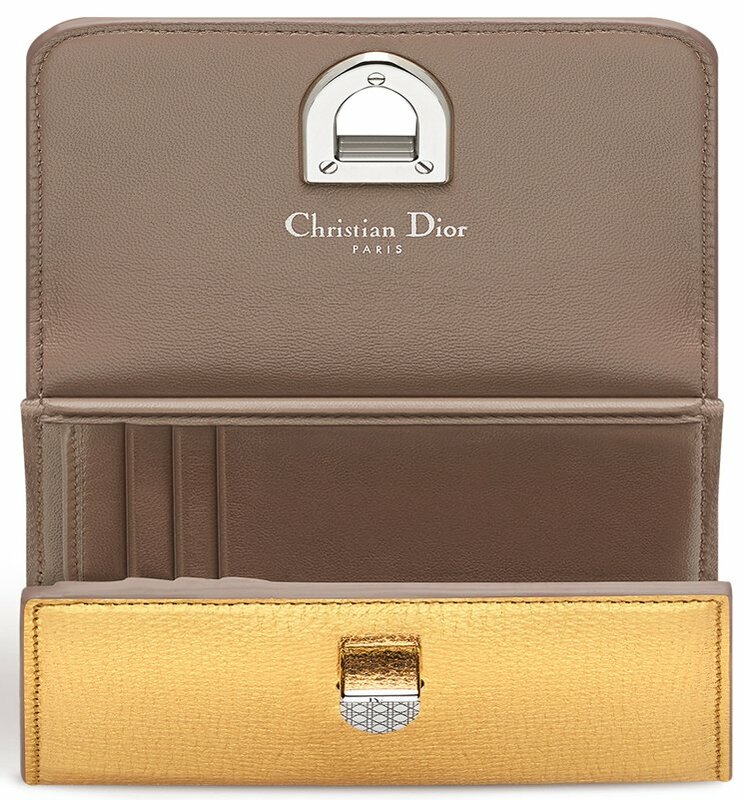 Now, after the Dior Turn Me Dior Envolee Wallet, Diorissimo Envolee Wallet and the Miss Dior Envolee Wallet, it’s time for the Diorever to bring their own Envolee Wallet in the fashion world. So you might want to know, what is the biggest difference between the Diorever version and the others? Well the shape and the interior are quite alike, however the design is completely difference. For example, the Miss Dior Envolee Wallet is created with ‘Cannage Stitching’, because that’s what the Miss Dior Collection is known for. It also features the iconic Dior Clasp, just beautiful. The Diorever Envolee Wallet is obvious inspired by the Diorever Bag. For example, the smooth leather, the crest-shaped clasp and the two vivid dots on both sides of the front flap. 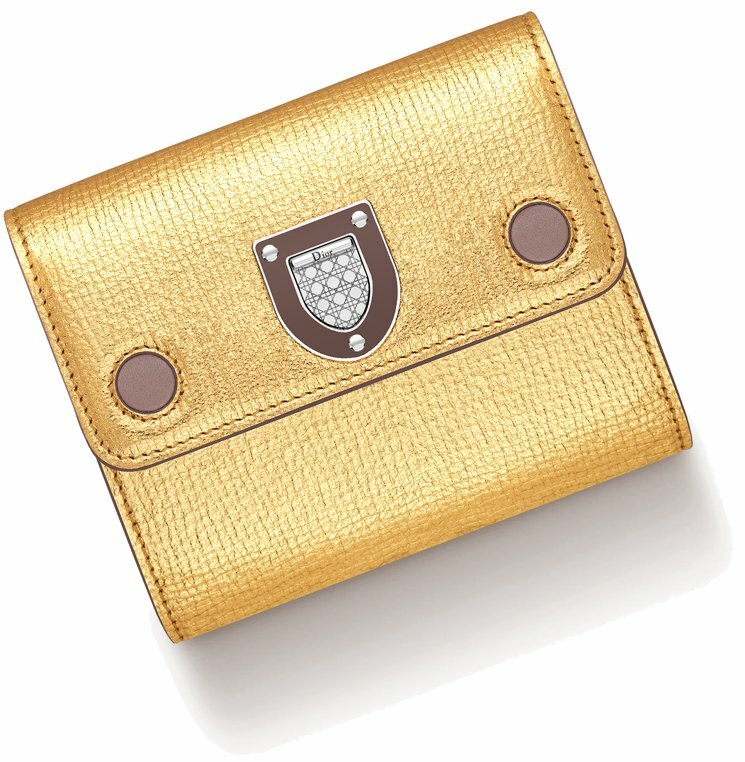 What makes your world perfect, is when you slip a Diorever Envolee Wallet into your Diorever Bag. Or when you put a Diorissimo Envolee Wallet inside your Diorissimo Tote Bag. The Diorever Envolee Wallet comes with 6 card slots, 2 flat pockets, 1 zipped pocket and 1 bifold compartment. So there is more than enough space for all your essentials. Measuring 11.5’ x 10 cm, priced at €490 euro, £440 GBP, ₩790,000 KRW in Dior boutiques. Last time, we talked about the Chanel Wallet in Bi-fold – truly a classic and gorgeous wallet. Then for those who are addicted to Chanel Flap Bags, we introduced the Chanel Flap Wallet. And to make the story even more intriguing, we included real images, sizes, prices and even seasonal colors. But this journey hasn’t ended yet, in fact we are just getting started. If you do not like the Chanel Wallet in Bi-fold and you find the Chanel Flap Wallet a bit too much, perhaps because you already got a Chanel Classic Flap Bag, then please meet the Chanel Flap Wallet in Rectangle shape. It’s a timeless piece in the exact size you want. 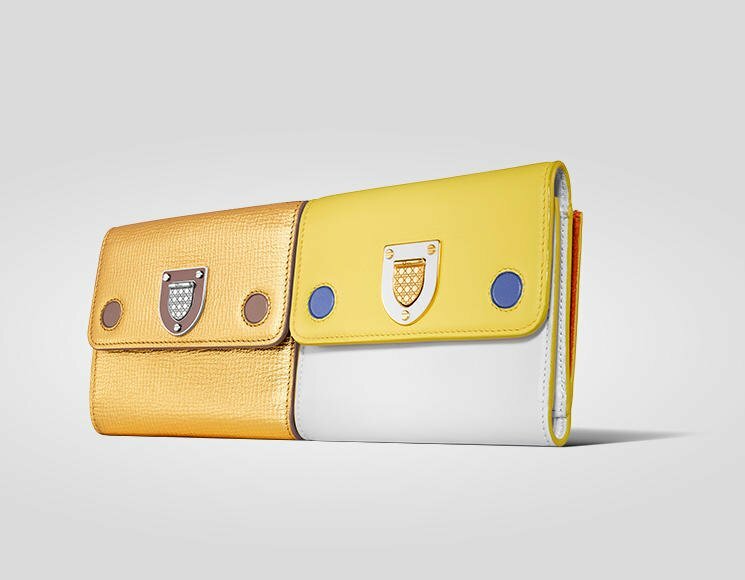 It has a flap, which makes it easy to open and close while the design looks like a ‘wallet’ and not a ‘Flap Bag’. The Chanel Flap Wallets in Rectangle shape edition are all quilted, but the colors and the embellishment depends on the season. You see, there are numerous of styles – you got the Chanel Boy Flap Wallet, Chanel Flap Wallet in Patent, Chanel Flap Wallet in Timeless CC, Chanel Flap Wallet in Camellia, Chanel Flap Wallet with Studs and also available in different colors. Your first Chanel Classic Flap Bag, your first bag crush. You are warned, the addiction can spread very quickly – you adore the leather, the CC signature, the front flap and everything about it. Before you know it, you will start hunting for more, like a hungry female lion looking for food. If you start falling in love, it’s hard to ignore the feeling and it’s hard to turn your back on something that’s irresistible. Suddenly, bags and wallets without the ‘authentic CC’ logo are not your favorite dish anymore. Occasionally you wander on Chanel website, to check whether there is an update, and you followed up checking on Bragmybag, to see whether you can find something fresh and of course the prices. If you adore the Chanel Flap Bags, then I am pretty sure that you will love what we will be sharing next. It has all the elements that you can expect from the Classic Flap Bag, but without the interwoven chain. It’s not a WOC, but the Classic Chanel Flap Wallet. What can be cuter? Imagine this, you are carrying the Chanel Classic Flap Bag in black caviar. You walk down the main streets, doing the usual thing, you know – shopping. Now you’re standing at the cashier, ready to pay. To get your credit card, you need to grab your Chanel Flap Wallet inside your Chanel Jumbo Classic Flap Bag. It’s like there is a mini Classic Flap Bag inside your Jumbo Classic Flap Bag, that’s simply gorgeous! The Chanel Flap Wallet is made with lambskin or caviar. Choose black if you want to invest in a timeless accessory. If you already own a Classic Flap Bag in caviar, then perhaps its time to enjoy the luxurious feeling that only the lambskin can provide. Put your hands on the super soft leather. The Chanel Flap Wallet has also back pocket (we told you that it got all the elements of the Classic Flap Bag). This post is written with the help of Winni, if you haven’t read about her Shopping Experience in Europe yet, then we recommend you do. You remember the moment when you got your first Chanel bag? It’s an incredible experience, just like love at first sight. You get the chance to touch the leather, oh gosh, so adorable. And you love it so much that your start overprotecting it, just like a baby. So after use, you carry the bag back to the original box, safe and sound. Only then you can sleep with peace in mind. But we all know that Chanel is addictive, the obsessions grow as fast as a virus. Once you are in the shop and you’ve picked your favorite bag, your eyes will start looking at other bags, wallets and pouches, consciously or unconsciously. And because we receive a lot of questions about Chanel Wallets, we thought it’s about time to write a review about it. And of course, this article couldn’t happen without Winni. By the way, if you haven’t read her journey at our previous post, which is a ‘must read’: ‘The Shopping Guide in Europe’. Today, we are going to talk about the Classic Chanel Wallets, the bi-fold. It looks quite similar to the Chanel WOC, the flap is covering the entire front. Also embellished with a CC logo. The quality of the leather can be felt with your hands, its much more luxurious than a regular wallet and of course you pay a lot more for it. The leather available is calfskin or lambskin. The calfskin is grained, so you can feel the bubbles when touching with your hands. It’s also much more durable. The lambskin is super soft and nice. But it’s less durable, my advice for wallets is always to pick lambskin. The wallet is usually hidden inside your bag, which is basically very safe from scratches and accidents.